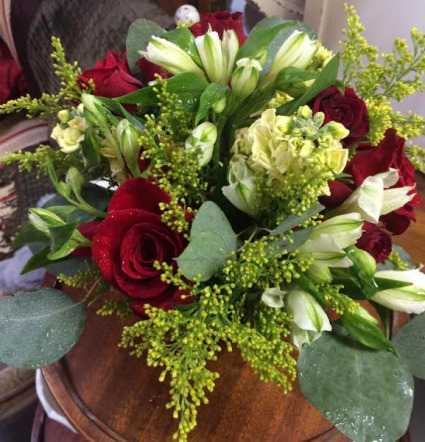 Surprise you Valentine with this classy floral arrangement with red roses and coordinating flowers. 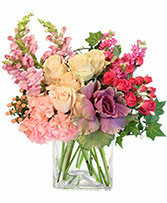 The sweetest Puppy Love bouquet for the sweetest sweetheart! 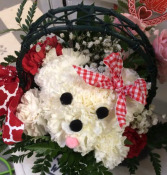 Our Puppy Love bouquet includes a puppy made from white carnations nestled in greenery and placed inside a floral bowl for $34.99. 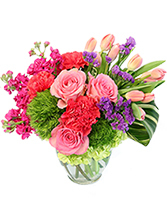 You can upgrade this arrangement to a basket with a handle and the carnation puppy nestled in flowers as well as greenery for $44.99 and $54.99 for an even bigger arrangement.